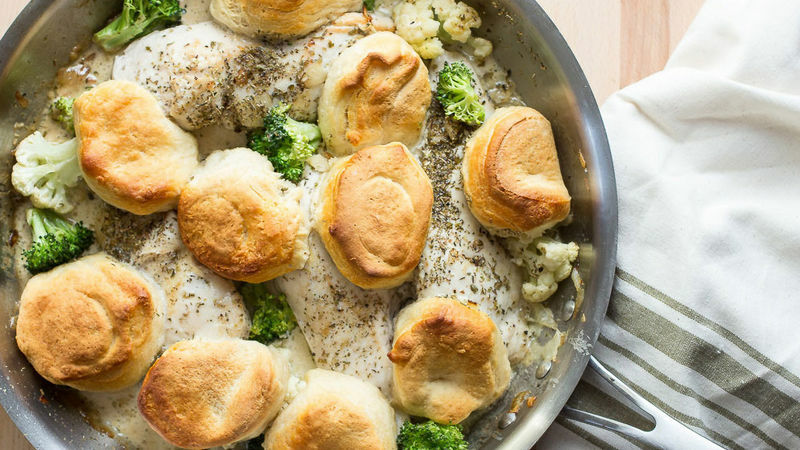 In 10- or 12-inch ovenproof skillet, heat 1 tablespoon canola oil. Add 1 medium diced onion and 1 minced garlic clove; cook and stir over medium heat until soft. 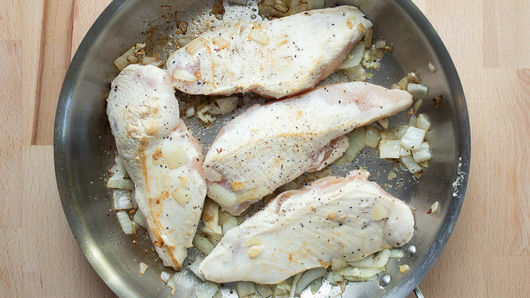 Place 4 medium boneless skinless chicken breasts in skillet; sear 2 minutes on each side. Sprinkle 1 tablespoon dried oregano leaves over chicken. Season with salt and pepper. Carefully pour 1/2 cup whipping cream around chicken. 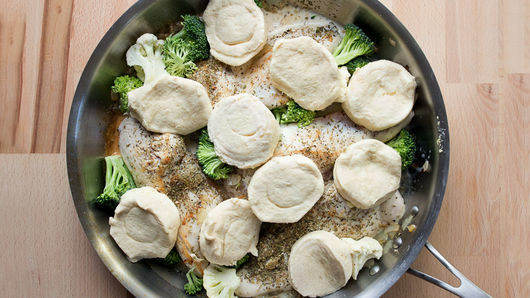 Add 2 cups fresh broccoli and cauliflower florets to skillet. Arrange biscuits randomly over chicken. Bake 20 minutes or until juice of chicken is clear when center of thickest part is cut (at least 165°F) and biscuits are golden brown. 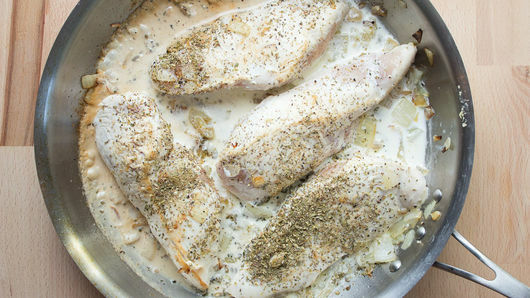 Prep the meal the night before by searing the chicken and keeping it in the refrigerator.